Challenge yourself to a 5K or 12K run or hike, and enjoy the beauty of oak woodland canyons, rolling grassland hills and steep slopes of coastal sage scrub and chaparral. Remnants of the former cattle ranching days can be seen throughout the park. 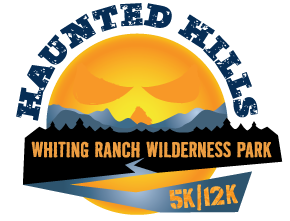 Take it all in with Rock it Racing’s Haunted Hills 5K or 12K! All finishers receive a medal, t-shirt, and other goodies! Race size cannot be guaranteed for registrations after 10/1/19. Race may be rescheduled (per OC Parks) due to rain and / or muddy conditions. Notification of any changes will be sent out prior to the event.